18ct White Gold Diamond Trilogy Dress Ring — Form Bespoke Jewellers Ltd.
A beautiful diamond trilogy dress ring, cast in 18ct white gold. This local customer came to us following the inheritance of some jewellery from a grandparent. They were looking to have the jewellery redesigned into a few pieces that they could wear on a regular basis. So a neat trilogy design was created to incorporate three of the inherited round brilliant cut diamonds. 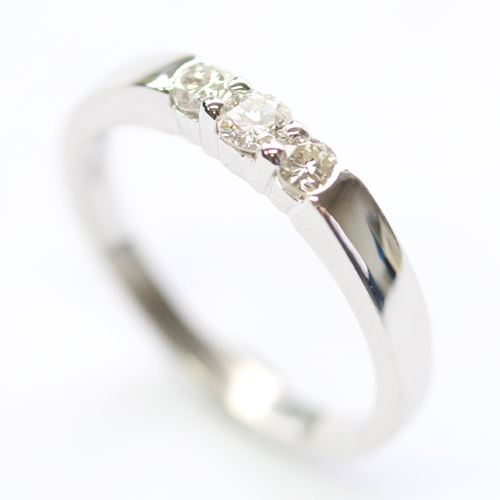 The band is the width of the flanking diamonds to ensure a tactile finish and it was cast in 18ct white gold to match the customer’s other jewellery.